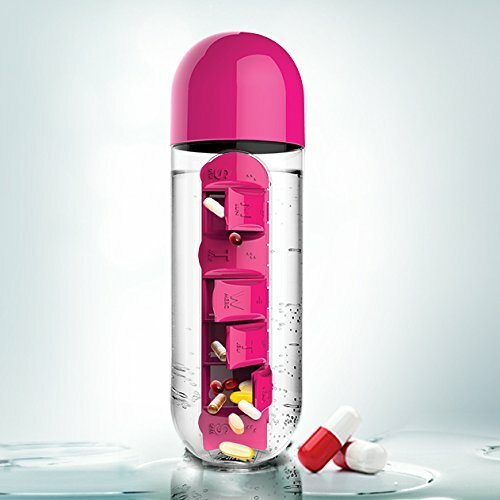 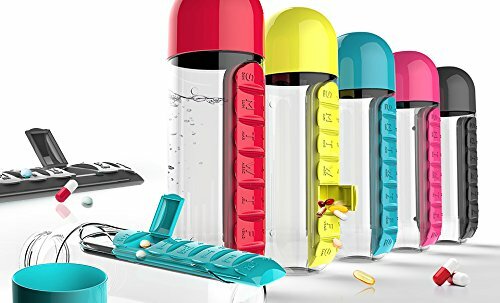 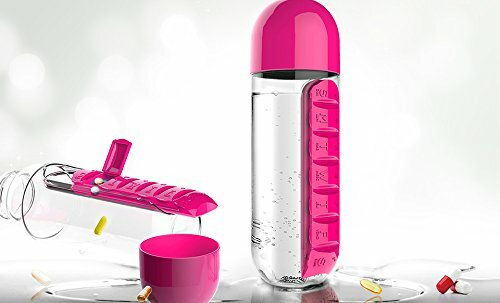 CONVENIENT DAILY ORGANIZER Made with a built in pill organizer so you’ve got the pills the water and even the lid as a cup with at all times. 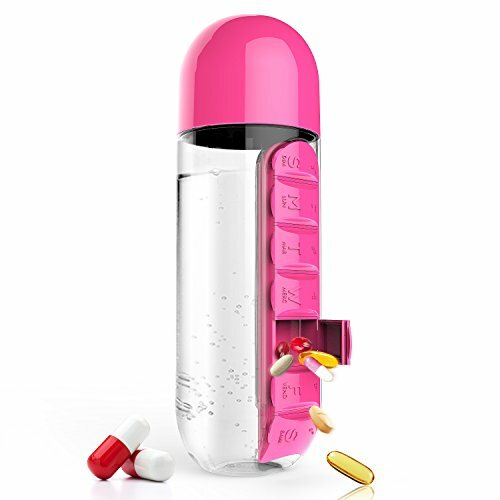 Great for traveling, work or keeping at your bedside. 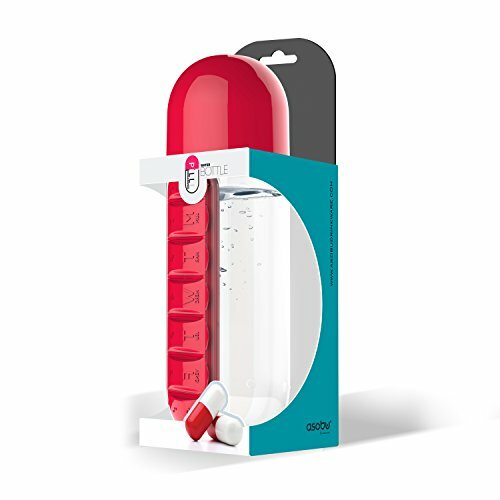 ORGANIZED AND NEAT Our seven section pill organizer allows you to store each day’s pills (about 3 large sized pills) in an easy open close compartment so you know that you’ve taken your daily dose.